The economy of India is the 7th-largest economy by market exchange rates, India is one of the world's fastest-growing economies. The long-term growth prospective of the Indian economy is moderately positive due to its young population, corresponding low dependency ratio, healthy savings and investment rates, and increasing integration into the global economy. India is one of the largest textile exporters. Major agricultural products include rice, wheat, oilseed, cotton, jute, tea, sugarcane, and potatoes. Major industries include telecommunications, chemicals, pharmaceuticals, biotechnology, food processing, steel, transport equipment, cement, mining, petroleum, machinery, and software. Major exports of India include petroleum products, textile goods, jewelry, software, engineering goods, chemicals, and leather manufactures. The top export partners of India are the United States, the United Arab Emirates, China, Singapore and the United Kingdom. In recent years, India has become one of the biggest refined product exporters in Asia with petroleum accounting for around 20 percent of total exports. The pharmaceutical industry in India is among the significant emerging markets for global pharma industry. India has a growing automotive industry as well. The Indian economy has the potential to become the world's 3rd-largest economy by the next decade, and one of the largest economies by mid-century. Historically, India has classified and tracked its economy and GDP as three sectors - agriculture, industry and services. Agriculture includes crops, horticulture, milk and animal husbandry, aquaculture, fishing, sericulture, aviculture, forestry and related activities. Industry includes various manufacturing sub-sectors. India's definition of services sector includes its construction, retail, software, IT, communications, hospitality, infrastructure operations, education, health care, banking and insurance, and many other economic activities. 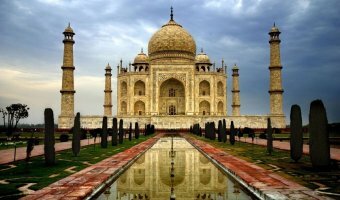 India is a member of the Commonwealth of Nations,the South Asian Association for Regional Cooperation,the G20,the International Monetary Fund,the World Bank, the World Trade Organisation,the Asian Infrastructure Investment Bank,the United Nations and the New Development BRICS Bank. India is heavily dependent on crude oil imports, with petroleum crude accounting for about 34 percent of the total inward shipments. India imports also gold and silver, machinery, electronic goods and pearls, precious stones and semi-precious stones and chemicals. The top import partners of India are China, Saudi Arabia, the United Arab Emirates, Switzerland and Iraq. Welcome to the Export Portal Pharmacy Department. You have come to the right health destination as all the health products from top reliable suppliers and manufacturers are just a click away. Browse through our wide variety of ingredients needed for a healthy life and see what we get! Medical and Health: Here you find all the pharmacy products you will get at your local chemist's. Vitamins: There is nothing like feeling best from inside. Be sure to check out our exclusive brand vitamins, skin care line, healthy snacks, supplements and natural health products. When it comes to maintaining a healthy body and a balanced diet, Export Portal has got you covered. 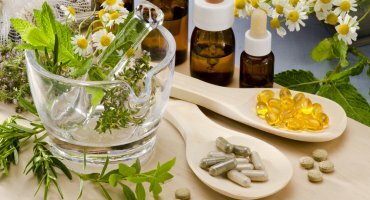 Medical Herbs: Medical herbs have been used for centuries to cure all sorts of ailments. Export Portal has a wide selection of medical herbs ranging from herbal extracts, organic medicinal teas,herbalcleanses, liver cleanses and many others. Sexual Well-being: Sexual Well-being products are undoubtedly important for a safe and pleasing sexual life. Contraceptives, Musli power and other products to boost up your sexual life are found at one place. What is more, Export Portal offers pregnancy care products and other vital supplements. Diet & Fitness: Export Portal Diet and Fitness store has got a wide range of supplements from the best global brands. Check out bodybuilding supplements like protein, glutamine or creatine to boost your body's natural abilities, to build muscle and increase your performance levels. We also have amino acids, minerals, vitamins and weight-loss supplements that are required by a human body on a day to day basis. Export Portal's Pharmacy Store offers all these indispensable nutrients under one roof. 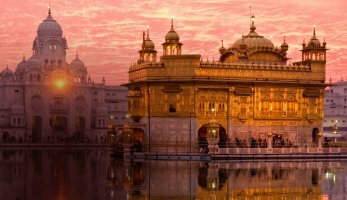 India is a country situated in South Asia bordered by the Indian Ocean, the Arabian Sea, the Bay of Bengal, Pakistan, China, Nepal, Bhutan, Myanmar and Bangladesh. It is a member of the East Asia Summit, World Trade Organisation, International Monetary Fund, Asian Infrastructure Investment Bank and South Asian Association for Regional Cooperation (SAARC). In case of Electronic Data Interchange no formal Bill of Entry is filed as it is generated in the computer system, but the importer is required to file a cargo declaration having prescribed particulars required for processing of the entry for customs clearance. In case of non-EDI more documents are also generally required. Some major importers have been given the green channel clearance facility. They have to make a declaration in the declaration form at the time of filing of Bill of Entry. The appraisement is done as per normal procedure except that there would be no physical examination of the goods. Certain goods are prohibited under Foreign Trade. The average customs duty is around 15%. Alcohol, wines, pet foods, some processed food products, and some manufactured goods are attracting higher customs tariff; however the tariff rate keeps on changing although the general trend is downwards. Some customs preferences are granted to certain goods imported, subject to conditions. You can consult a list on the website of the Ministry of Finance of India. Preferential rates also apply to imports from those countries with which India has signed special Trade Agreements. The exporters have to obtain PAN based Business Identification Number (BIN) from the Directorate General of Foreign Trade prior to filing of shipping bill for clearance of export goods. The exporters are also required to register authorised foreign exchange dealer code (through which export proceeds are expected to be realised) and open a current account in the designated bank for credit of any drawback incentive. Whenever a new Airline, Shipping Line, Steamer Agent, port or airport comes into operation, they are required to be registered into the Customs System. The exporters intending to export under the export promotion scheme need to get their licences/DEEC book etc, registered at the Customs Station. In case of export by sea or air, the exporter must submit the 'Shipping Bill', and in case of export by road he must submit 'Bill of Export' in the prescribed form containing the prescribed details such as the name of the exporter, consignee, invoice number, details of packing, description of goods, quantity, FOB value, etc. Along with the Shipping Bill, other documents such as copy of packing list, invoices, export contract, letter of credit, etc. are also to be submitted. After the receipt of the goods in the dock, the exporter may contact the Customs Officer designated for the purpose and present the checklist with the endorsement of Port Authority and other declarations along with all original documents. Customs Officer may verify the quantity of the goods actually received and thereafter mark the Electronic Shipping Bill and also hand over all original documents to the Dock Appraiser, who may assign a customs officer for the examination of the goods. If the Dock Appraiser is satisfied that the particulars entered in the system conform to the description given in the original documents, he may proceed to allow "let export" for the shipment. Outer containers should bear consignee and port mark and be numbered (to accord with packing list) unless their contents can be otherwise readily identified. Gross weight must be shown on two faces. Packing should be strong and should guard against extreme heat and humidity in summer and possible storage in the open and pilferage. Steel strapping is recommended. Livestock imports must be accompanied by a sanitary certificate issued and certified by an approved authority in the country of origin. Plants, plant products and leaf tobacco require phytosanitary certificates issued by an approved authority in the country of origin and certified by an approved organisation. Additionally, leaf tobacco must be accompanied by a special certificate stating that the tobacco is free from ephestia elutella or that the pest does not exist in the country of origin. Any shipment of tobacco leaf arriving without the above certificate will be examined by an Indian Government inspector and a fee charged. Used clothing requires a certificate of fumigation issued by an approved authority in the country of origin. Port wine requires a certificate indicating alcoholic content and spirits may need a certificate of maturity. Minimum of two copies normally required. To Order bills are also acceptable. Freight charges must be stated separately and quantities must be indicated in metric terms. Import reference number and letter of credit number are to be shown. Must indicate the name and address of the applicant and the issuing bank. Issued by local Chamber of Commerce (three copies normally required).